Home » Life » Not this again! 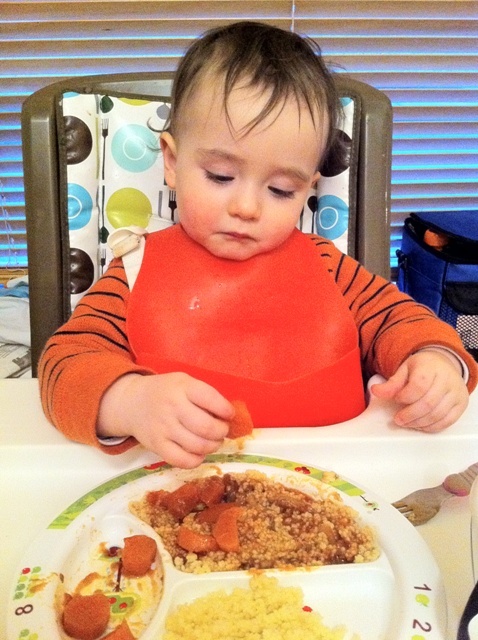 A few months ago, we tried the Moroccan Chicken recipe from the Baby Led Weaning Cookbook. None of us liked it. But we’re always open to giving things second chances, so when we came across a slow cooker recipe for Moroccan Lamb in this month’s Easy Food magazine, we decided to see if the recipe would be any nicer using a different meat. The lamb that we bought was a bit tough, so we cooked it all day long, thinking that would develop lovely tasty flavours. Not so I’m afraid. As it turns out, we just don’t like Moroccan food I guess! 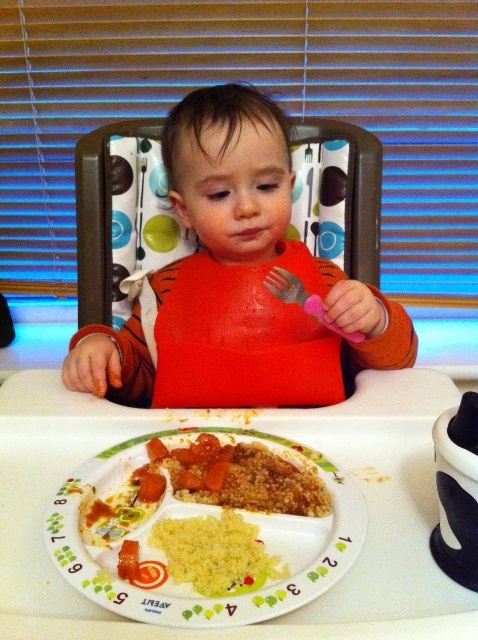 I think Little Man’s face tells the story better than I can though! Perhaps a little something from my fork? 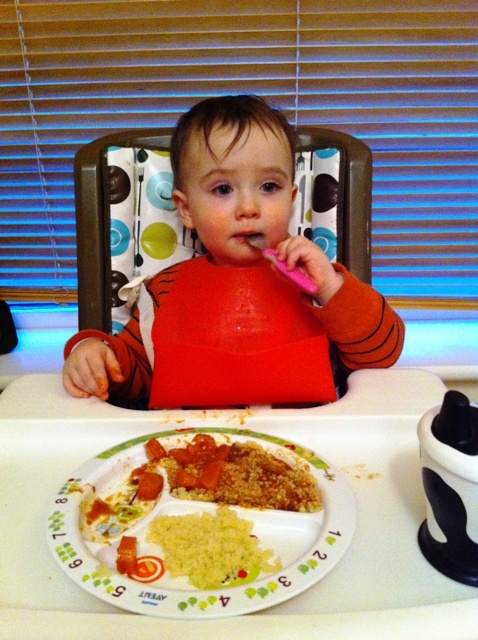 I’m just impressed that he hasn’t flipped the plate over! He only flips the plate over when he’s bored Carol. 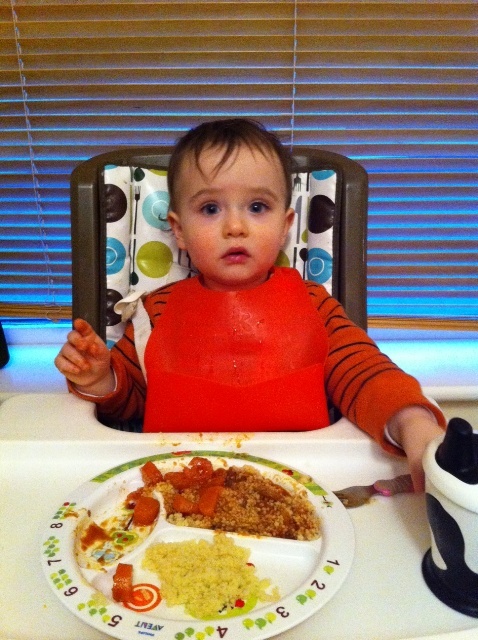 At this stage I’ve learned to read the signs and remove the plate before that happens! Whatever happened to Bacon and Cabbage!! !